Ivy Daniels is a high school junior still learning who she is. After almost drowning, Ivy finds herself with an ability she doesn’t want, an ability to uncover secrets which quickly begins to redefine what she thinks about the people around her as well as herself. Because of this ability, Ivy becomes the one thing that stands between an angry teen and the death of every student on campus. The only problem is she doesn’t know who wants everyone dead. Will she figure out whose secret is that they’re planning to blow up her school, or will she fail to find him in time? Into the Deep was kindly provided to me by the author, Lauryn April in exchange for my honest opinion. Ivy Daniels is a high school junior with a new ability to read minds after a near drowning accident, she was an easy character to relate to who although at times was too much of a follower, was believable in her reactions and her thoughts. The plot was quite enjoyable, the idea of a girl who could now hear others thoughts and uncover their secrets was fascinating – I’d certainly love to have this ability; except for when Ivy needed to work out who the angry teen was at school who wanted everyone dead and she also heard some troubling things about her father but couldn’t reveal what she knew without sounding completely crazy. It took me a little while to get into Into the Deep; Despite liking Ivy’s new ability, she had the chance to put a stop to the danger which was presented a lot sooner than what she did so what had me stumped was why she took the threat so lightly and dragged things out. This was the main part of this story which I couldn't quite connect with. Brant is the love interest and was by Ivy’s side whenever she was in need; I enjoyed watching their romance develop although it did happen a little too quickly. Brant had a back-story which was quite sad and he was certainly misunderstood; I quite liked him as a character but was surprised he could go from being nasty about Ivy and her friend one moment to being by her side every second the next – I didn’t quite understand the pull beside his fascination with what he discovered she could now do. Ivy’s friends were shallow and she was more or less doing as they do and not thinking or acting for herself, I was pleased she was able to see (or hear them) for what they truly were and took action to decide who she would be friends with. I also enjoyed the new friendship she had with Charlie who was a lot more genuine. I had no idea as to who the villain would be and I was quite surprised by who it was and their reasoning; we are given a few twists and turns along the way to the big reveal which I always enjoy. Unfortunately, the first half of the book was a tad too slow for me and I found I was skimming to get to the parts which provided me with the most answers. There were some story elements that I fully understood but I felt others should've been explained or made clearer much earlier than what they were. There were a few misused words (eg. 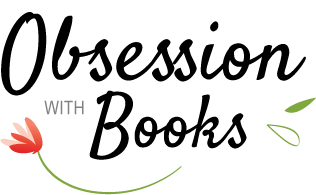 then-than), but these were minor and can be easily overlooked. 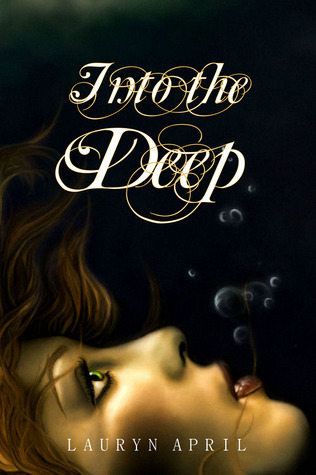 Overall, Into the Deep is a nice debut for author, Lauryn April. I enjoyed Into the Deep much more than you did. But since we are not clones, that's understandable. I would have liked to learn more about the male leads mom. But since it wasn't the main focus of the book I get why it wasn't discussed in more detail. I'm glad you liked it. I could definitely read more from this author. Hi Nicole, I really liked Brant & wanted to know more about his past, his mother was a big mystery which left me curious.